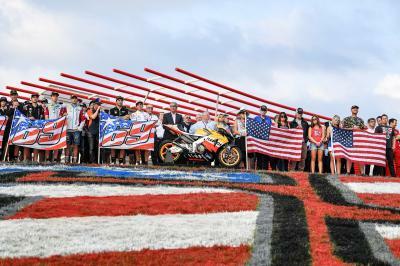 Marc Marquez (Repsol Honda Team) remains the man to beat ahead of the race at the Red Bull Grand Prix of the Americas, a 2:04.573 in morning Warm Up put the pole sitter 0.193 clear of second fastest Andrea Dovizioso (Mission Winnow Ducati). 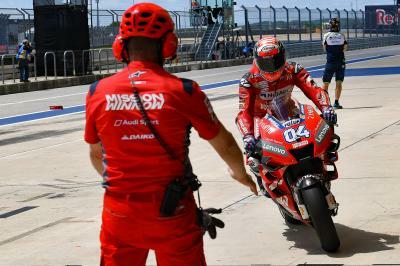 Dovi has hard work to do from P13 on the grid, with fellow Ducati rider Jack Miller (Pramac Racing) third in Warm Up as he aims for a Texas podium from fourth. 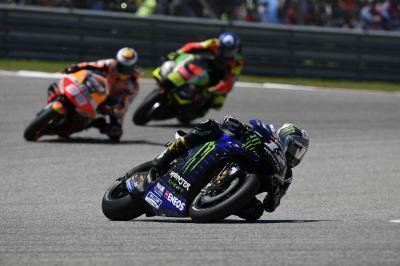 Maverick Viñales (Monster Energy Yamaha MotoGP) was P4 on Sunday morning, 0.4 back from Marquez, with Cal Crutchlow (LCR Honda Castrol) fifth – the latter joining Marquez and sixth fastest in Warm Up Valentino Rossi (Monster Energy Yamaha MotoGP) on the front row for the race. 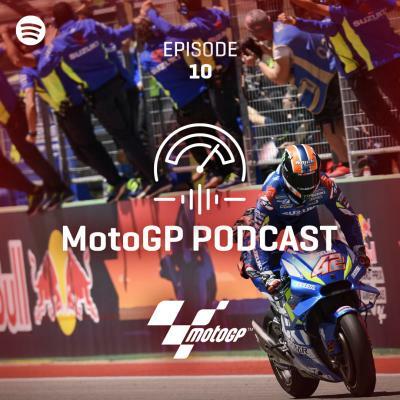 Will Marquez continue to reign over COTA, or is an upset in order? 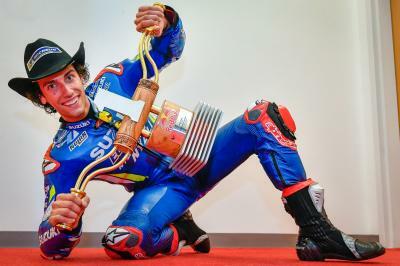 Who knows, but we’ll find out soon enough. 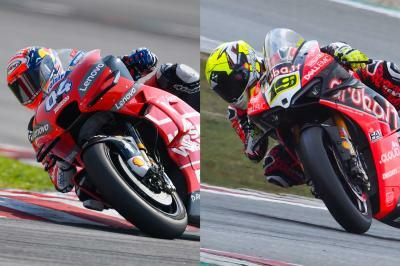 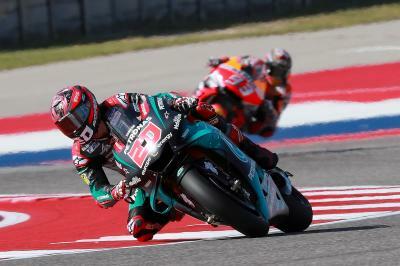 Tune in to watch MotoGP™ do battle in Texas at 14:00 local time (GMT-5).